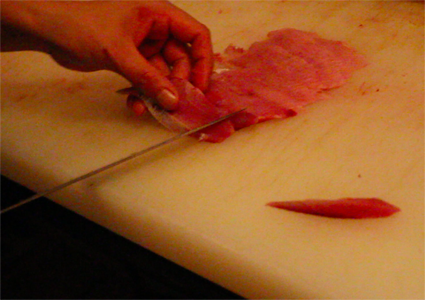 Make your own fresh tuna sushi! 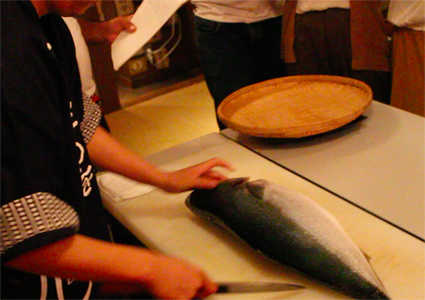 Watch the chef carve up a huge tuna right before your eyes! 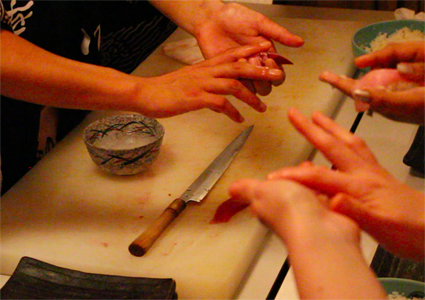 Forget choosing your sushi off a conveyor-belt – why not make it yourself under the guidance of a trained sushi chef?? 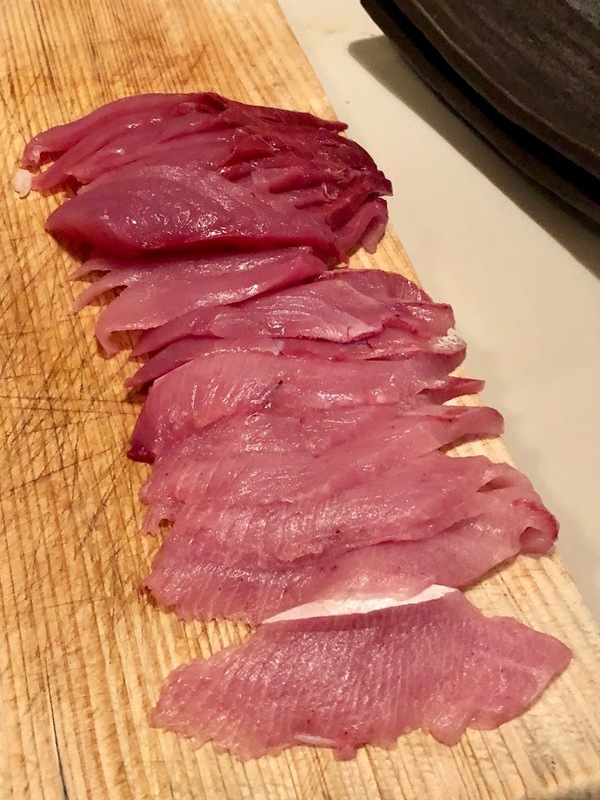 This local dinner plan has it all! 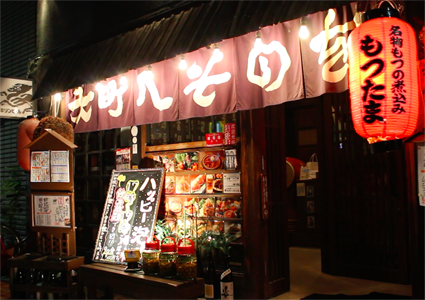 Enjoy a dinner of local specialties at ‘Hesono-o’, a traditional Izakaya (Japanese style pub) in Sendai City. 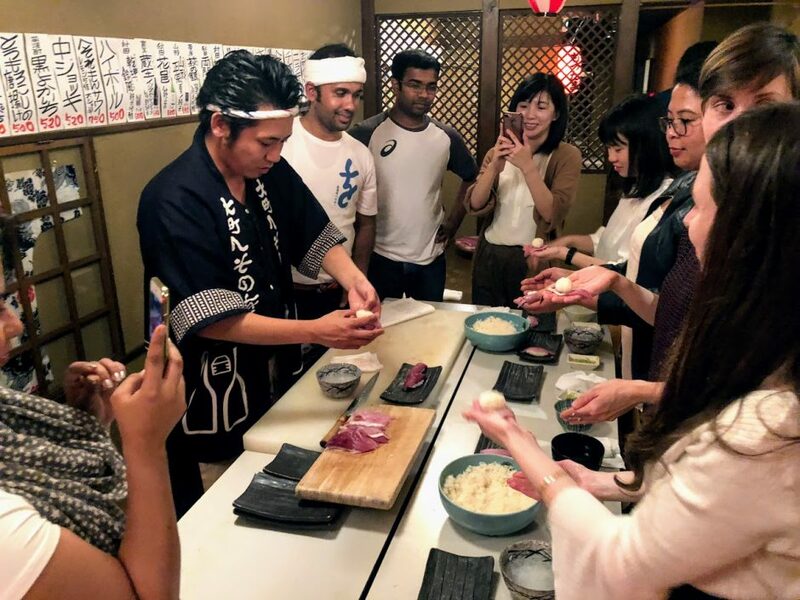 The chefs at Hesono-o have chosen a special menu to give you a taste of seasonal cuisine from Sendai and all around the Tohoku region. 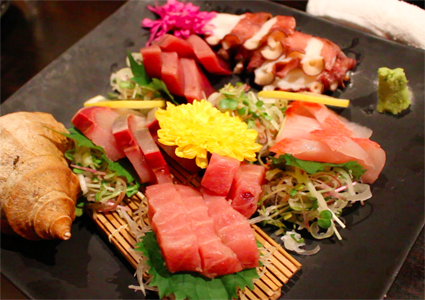 Pair each dish with the drink of your choice from an all-you-can-drink menu of Japanese beer, sake and mixed drinks. 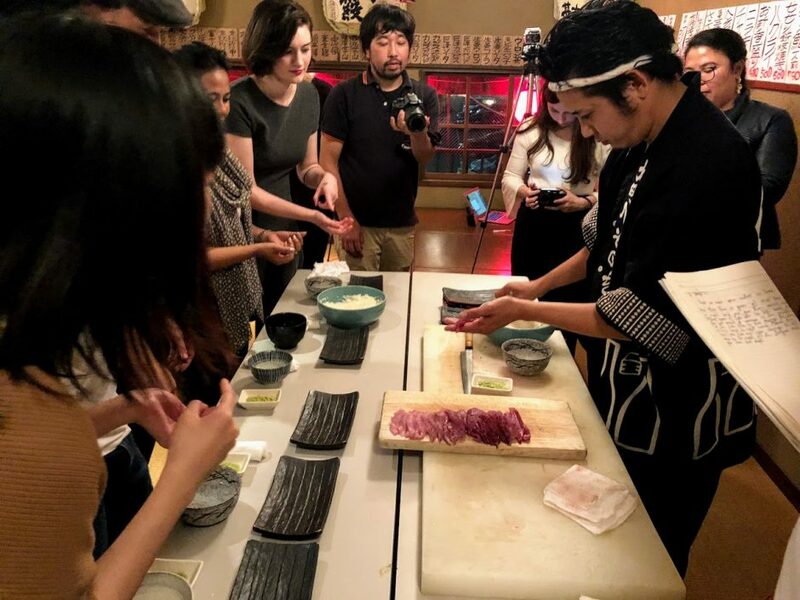 Take a break between courses to watch a professionally trained sushi-chef carve-up a huge freshly caught tuna in front of your eyes! 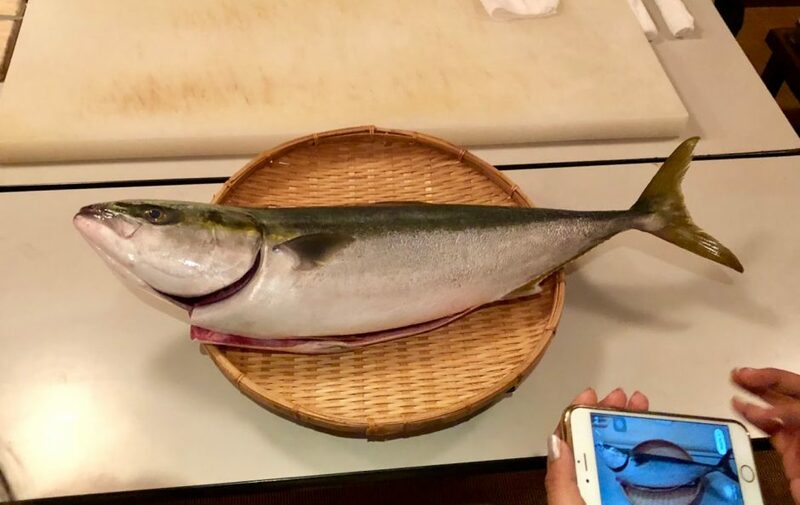 Follow the guidance of the chef to make your own delicious ‘nigirizushi’ (sushi molded by hand) from the fresh cuts of delicious, fatty tuna. The ultimate dinner plan to satisfy both your stomach and inner culinary genius! 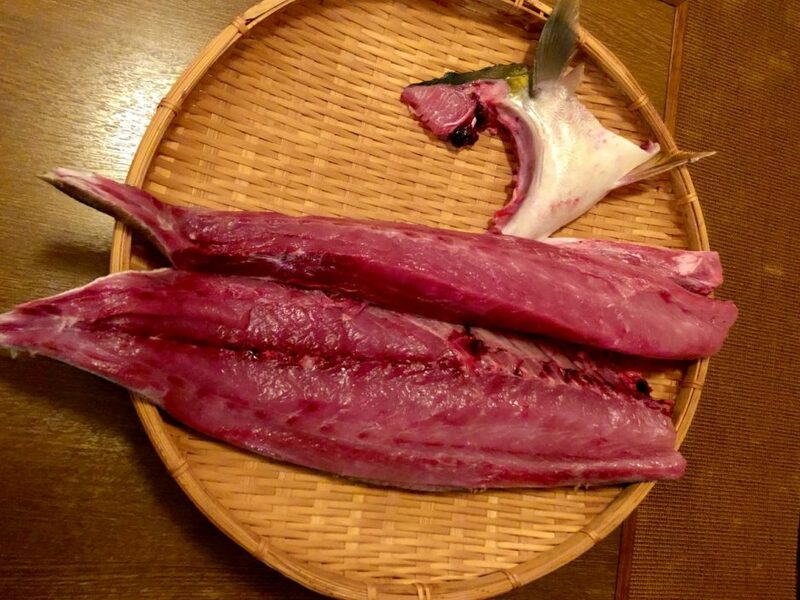 Arrive at Japanese izakaya ‘Hesono-o’ (Omachi store). 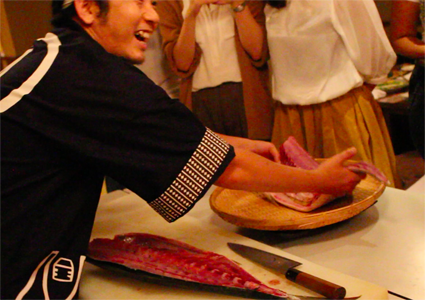 Between courses, watch as a professional sushi chef carves up a huge tuna before your eyes! 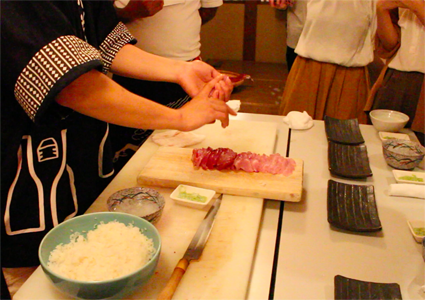 Next, the chef will show you how to make your own ‘Nigirizushi’ (hand molded sushi) from the best cuts of tasty tuna! 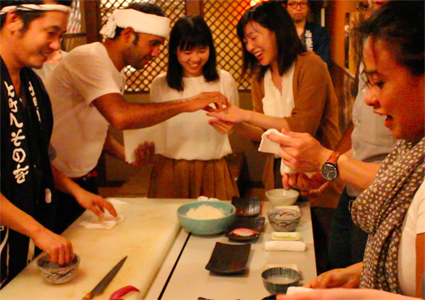 Leave with a satisfied stomach and some awesome memories! 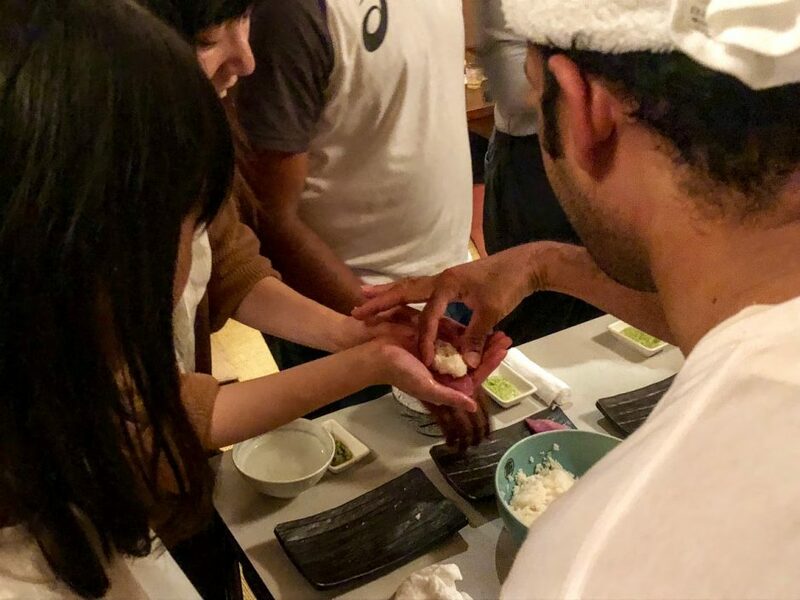 > Full course dinner of local cuisine from around Tohoku. 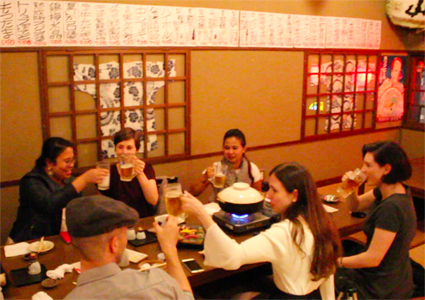 > All-you-can-drink menu of Japanese beer, sake and mixed drinks. One week prior to tour date.